Tonight is the night! Mists of Pandaria launch! What has become exceedingly true over the past 1-2 years is that, as a group, we have a ton of things competing for our time and attention. School, work, family, real life, and other games have all played a little part in that. I don’t expect Mists of Pandaria to change that at all. What I do hope is, that MoP gives us a place to come together and game again, even if it’s just for a small measure of time each week. Gone are the days of organized raids days, recruitment, and the time constraints and stresses those things brought about. 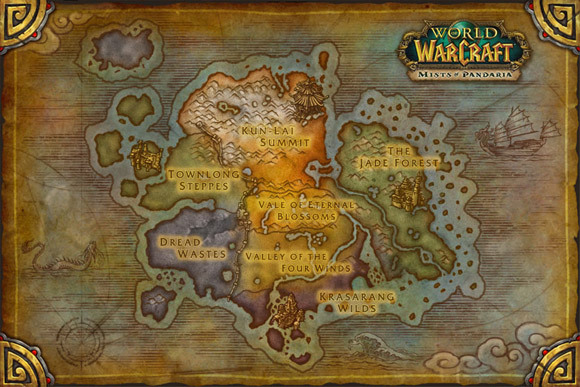 My vision of Mists of Pandaria for this guild is pretty simple. I hope it’s a place for us to all get together and have some fun gaming a little each week. Whether that is leveling, dungeons crawling, PVP, scenarios, the raid finder, or pet battles, who knows. The activity that we choose each time means very little to me. What is important is having a good time with some friends. I’m hoping we see the return of several old friends over time as well. If you’ve got other folks from other games that might be interested, bring them along too! Enigma is now officially what it has been for quite some time anyway, casual. Let’s kick it off with some leveling fun over the next few weeks. Looking forward to see you guys in game!